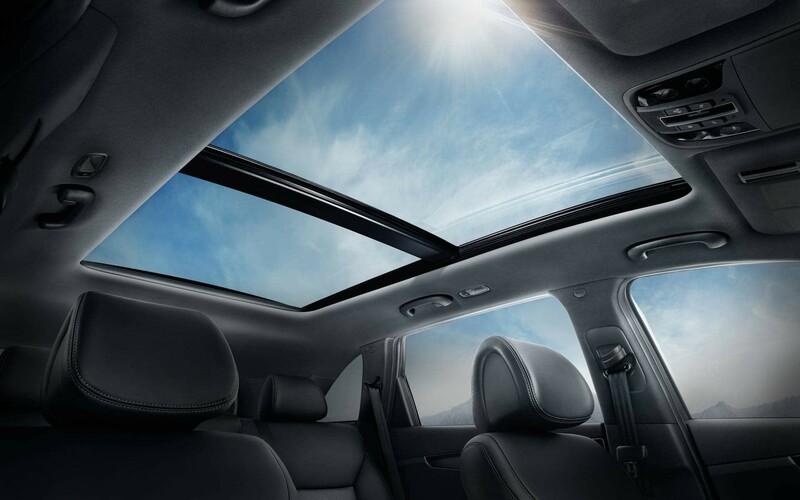 The updated 2017 Sorento has been redesigned with a sleeker, more sculpted exterior. 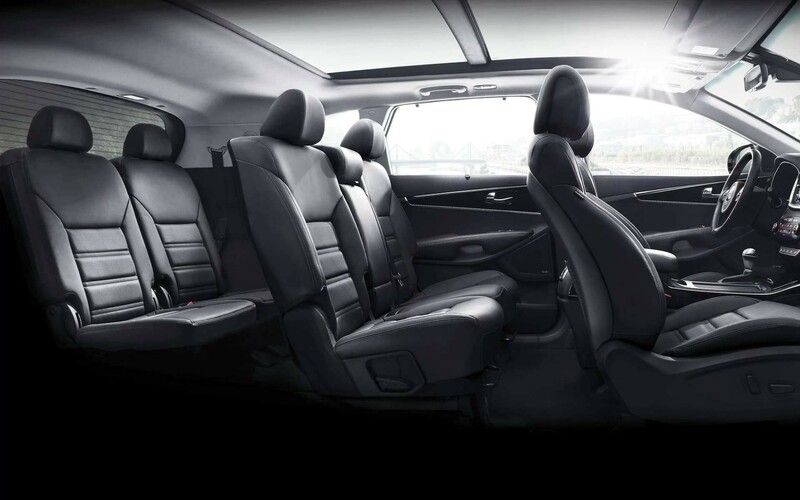 It has a wider stance and longer wheelbase for even more versatile cabin space with an available seating up to seven. Now available with Smart Power Liftgate for truly touch-free operation, the Sorento is one highly stylized, modern utility vehicle. It’s improved handling and dynamic power. With the available Dynamax All-Wheel-Drive (AWD) system, the Sorento delivers a smooth, refined drive even on rough roads. Choose from three engines to fully customize your experience. Engines range from the fuel-efficient 2.4-liter 4-cylinder to the 2.0-liter turbo engine with its impressive performance without sacrificing fuel economy. And if it’s power you’re craving, go with the 3.3-liter V6 AWD which offers 5,000-pound towing capacity. Maneuver in and out of tight spaces with ease. The available Surround View Monitor (SVM) controls four mounted cameras, giving you a birds-eye view of your vehicle. 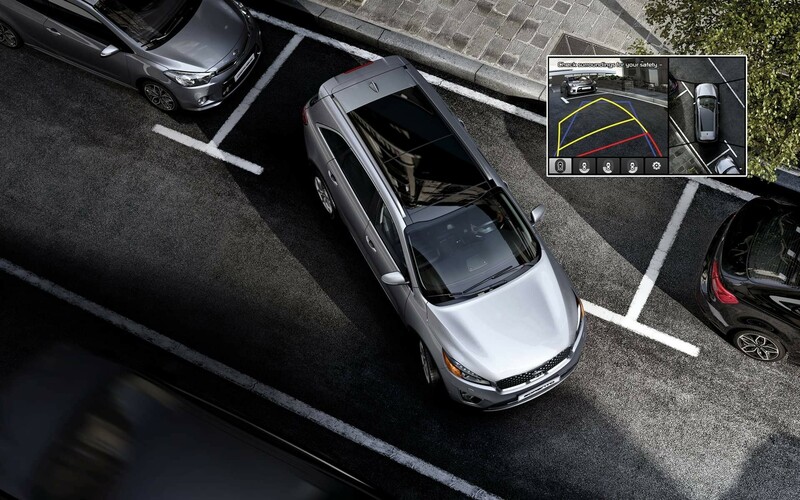 Available Rear Parking Assist System (RPAS) uses sonar sensors to warn you as you near other vehicles or objects. 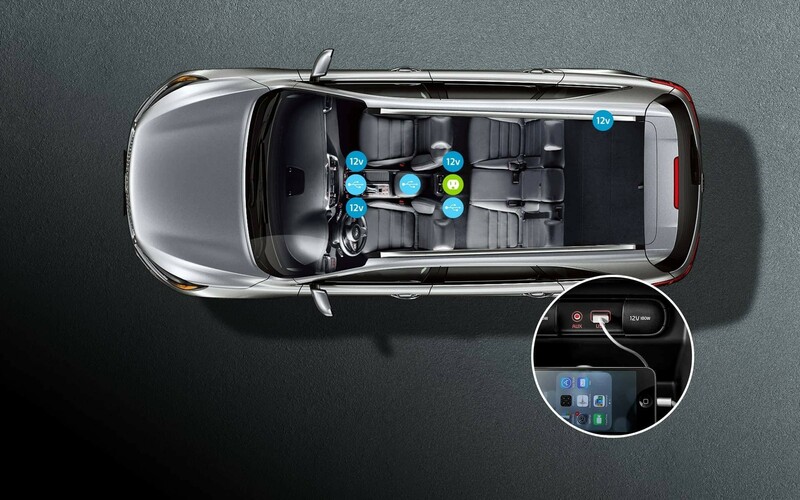 Clari-Fi™ and Infinity® Surround Audio System bring you rich, clear sound as it was meant to be heard. The available Clari-Fi™ innovative audio technology scans compressed files and restores music to its true stereo sound. Played through the available ten-speaker Infinity® Surround Audio System-which includes a center speaker, sub-woofer, amplifier, and surround sound-and you’ve got one stunning in-cabin sound experience. Hear the Clari-Fi™ difference here. Whether from the vehicle or via smartphone, UVO eServices provides personalized connectivity to your Sorento. Now with more ways for your voice to be heard. From the convenient voice-command navigation to compatible smartphone services like Android Auto and Apple CarPlay, UVO is free, advanced technology that keeps you connected. Download the Smartphone PDF here.